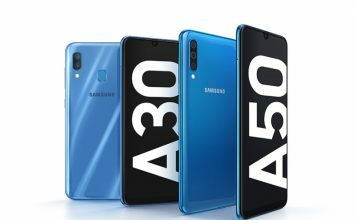 Samsung in hunt of becoming king of smartphone manufacturer has now started making phones and Phablets for budget range. When companies like Micromax and Karbonn are establishing themselves in mid segment or the budget range smartphones, Samsung won’t let lose its customers at any point. 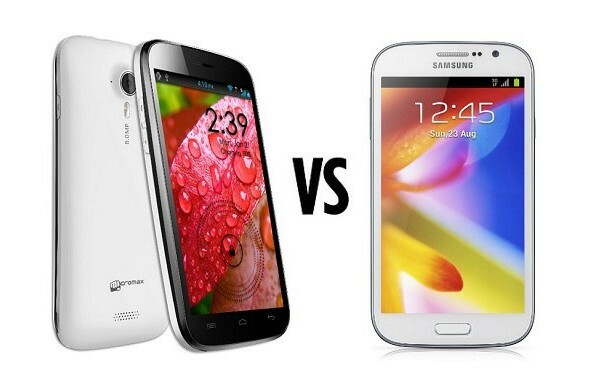 From the flagship luxuries to the cheapest budget smartphone, Samsung is the toughest competitors to every company. With its aggressive marketing strategies, galore resources and unbeatable reach in markets across the world makes it the trusted of all, and for its rivals inevitable. Now with Micromax blooming on its 5 inch Phablet and smartphones in budget segment, with launch of Micromax A116 Canvas HD. 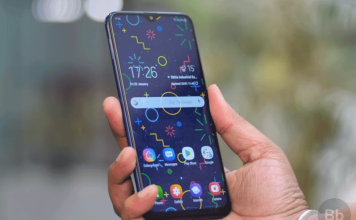 Samsung has gifted all its customers who loved Galaxy note Series, but were not able to pay much for the flagship product with a cheaper alternative Samsung Galaxy Grand. 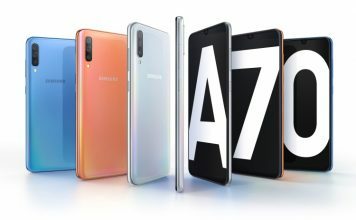 Now if you have made your mind to buy one of them, let’s have a look at the pros and cons and differences which distinguishes Samsung Galaxy Grand with Micromax A116 Canvas HD. The phone has 5 inch candy bar design. The phone has a plastic body with removable battery and dual SIM options. The phone retains the pebble shaped design of its Flagship devices. With the dimensions of 143.5mm X 76.8mm X 9.6mm the phone has a 5 inch massive display. The phone has rear 8MP with flash camera and front 2MP camera. Besides the front camera it has proximity sensor. The phone has volume keys on the left and power button at right. The phone is heavy with 161 gm. 1.2 GHz Quad core MediaTek MT6589 processor (cortex A7 -soc) with 1GB RAM and supported by 5XT CPU by PowerVR. When it comes to sensors the basic sensors like light sensor, proximity sensor are available. The phone has Bluetooth 3.0 with a2dp, Wi-Fi b/g/n, GSM 900, 1800MHz, the phone supports 3G services, EDGE, GPRS, and UMTS etc. For navigation it supports GPS. 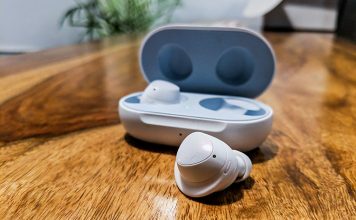 The micro USB port 2.0 will allow charging and connectivity with mass storage. Supports FM. Samsung has used 1.2 GHz dual core processor Broadcom BCM28155 SOC with video core 4 GPU. The reason behind use of Broadcom chips instead of exons is the lack of supply which forced them to use Broadcom chips. Accelerometer, Geo-magnetic, Gyro-sensor, Proximity Sensor are present use of latest GLONASS technology with GPS for locations. 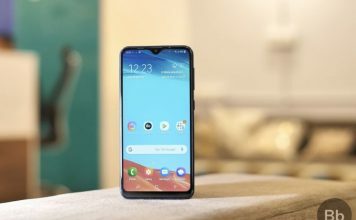 It has Bluetooth 4.0, Wi-Fi b/g/n, GSM : 850/900/1800/1900 MHz HSDPA : 900/2100 MHz The phone has 2 dual sim 2g sim card slot out of which one can also be used for 3g and supports FM. 5 inch IPS LCD display with HD resolution of 1280 X 720 pixels which is scratch resistant. The display is has pixel density of 294 ppi. The touch screen is capacitive with 5 touch points and display supports 16 million colors to enhance experience. 5inch TFT LCD display with WVGA resolution of 480 X 800 pixels. The pixel density is 187 ppi which is again a major let down to 5 inch massive display. The screen is not scratch resistant so bigger screen means more vulnerable to scratches. It supports Multi touch with colors depth of 16 million. Micromax has 1 GB RAM and 4GB internal storage expandable up to 32 GB with micro SD card. 1GB RAM with 8GB memory expandable up to 64GB which is way ahead of Micromax. 8MP rear camera with LED and 4X digital zoom. The front facing camera is VGA quality with 0.3 MP aperture. 8MP rear camera with LED flash. The front facing camera is 2MP. The camera quality of Samsung is definitely better than Canvas HD. The phone comes out of the box with android 4.1 jellybean. Micromax provides its own user interface with its own voice command features. Comes right out of the box with android jelly bean 4.1.2. The UI is touch wiz UI which is one of the best customizable and lag free user interface. Samsung has provided Samsung apps and services. Micromax Canvas HD has a 2100 maH removable battery build by Li-Ion technology. 2100 maH removable battery with Li-ion technology. It provides 440 hour of standby time and 610 min of talk time on 3G. Micromax Canvas HD is priced at around 15000 INR. The phone will be available in the first week of February at all retailers and online stores. Samsung galaxy Grand is priced at 21500 INR. The phone was launched in Indian markets in 22 January and is available in some online stores and Samsung e-store. HD display 1280X 720 pixels with IPS display for bright screen. More pixel density 290 ppi when compared to 187ppi of Samsung. Quad core processor with 1GB RAM and power VR GPU which is better than dual core processor of Samsung. Strong 2MP front camera which supports HD video recording. Bluetooth 4.0 as compared to 3.0 of canvas HD. Samsung provides 8GB memory expandable up to 64GB contrary to Micromax with 4GB internal and expandable up to 32GB. Touch wiz user interface is definitely one of the best User interface.